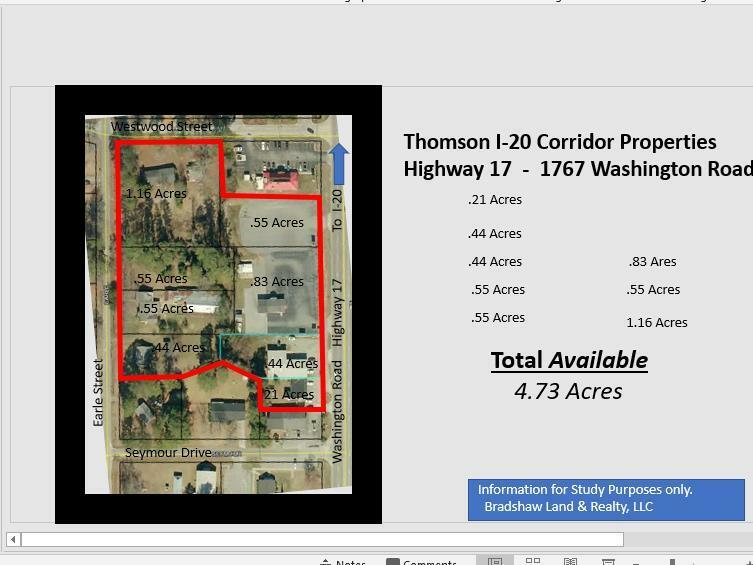 Jumbo commercial property of 4.73 acres available. 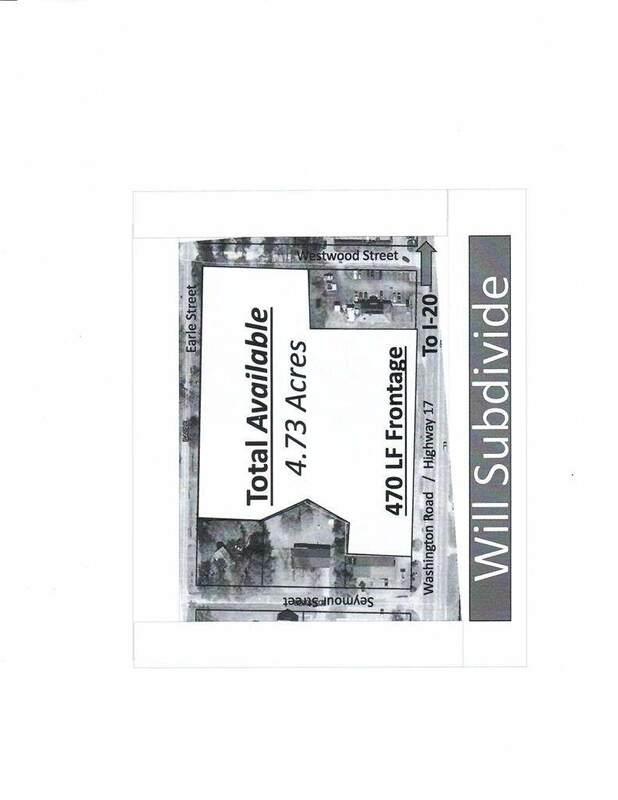 Multiple parcels are assembled by seller to offer total or part of the property. Double depth parcel front to back. Buyer can purchase as a whole parcel or property may be subdivided upon mutual negotiation. Some existing buildings under lease that can be cancelled. Property being offered at per acre price of $550,000.00 per acre. Final sale price to be based on what property to be utilized for the sale. See attachements for existing property tax map details. 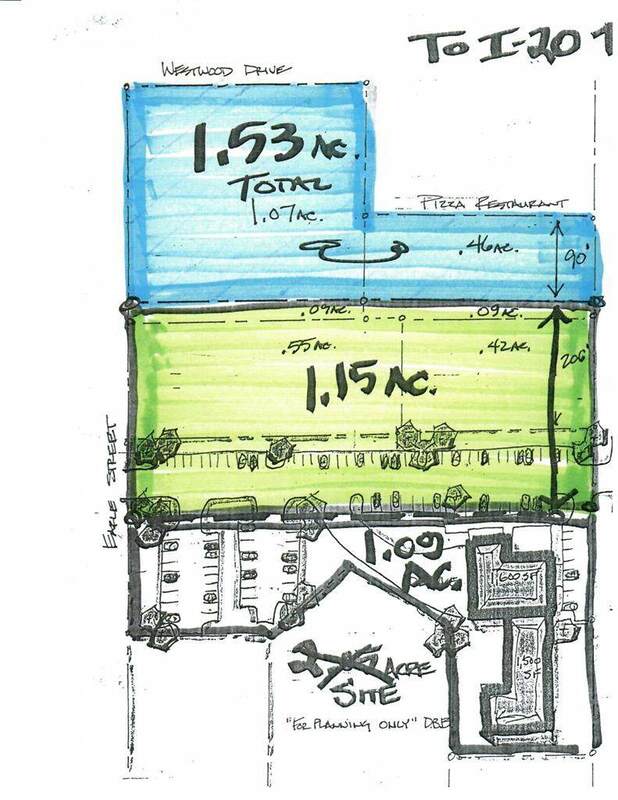 Also attached are preliminary sketches for possible property layout uses and potential subdivision. 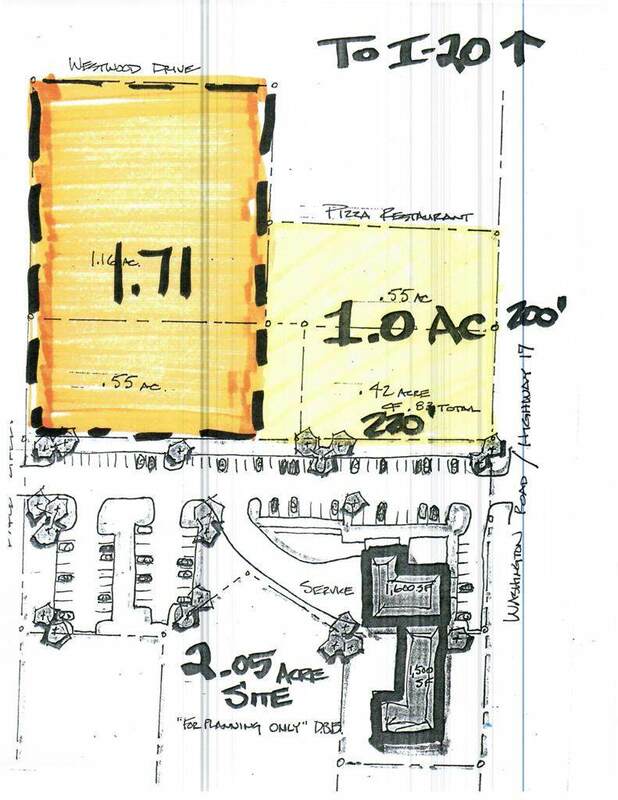 Approximately 470 LF frontage on busy Highway 17 / Washington Road. Super access on three sides for vehicle entry and exit. No personal property included.